All monthly issues of the free email newsletter "God's Voice Worldwide" can be found here. Discover 7 Reasons to Subscribe and sign up today! 12/27/2015 - Can't I Just Hand Out a Wallet Card that Introduces People to Supernatural Christianity? 12/18/2015 - Can I REALLY Be a Part of Sharing the Gospel of Salvation with 1 Million People Every Single Day? 05/22/2015 - God's Voice Worldwide -- A Personal Message from Mark Virkler | Free Resources | Hungering for a Spirit-Filled Bible College at Your Fingertips? 03/06/2015 - God's Voice Worldwide -- New 4 Keys Handout | BOGO Coupon | Five New Virkler Blog Posts | The Same Price Since 1994? Last Chance! 02/05/2015 - God's Voice Worldwide -- Taking Responsibility | Save Over $300 on These New Products | New eBook "Becoming Mr. Ephesians"
08/01/2014 - God's Voice Worldwide - Free Online Dreams Course (until Aug. 15) | New Blog Series on Angels | Why Doesn't the Church Teach About Dreams or Miracles? 07/23/2014 - How Far Could You Go with a Bible School in Your Pocket? 01/31/2014 - God's Voice Worldwide - Express Diplomas | Be Counseled by Dr. Mark Virkler | The Real Deal | We Need You! 07/16/2013 - July - God's Voice Worldwide - Announcing the Bible Lover's Series! 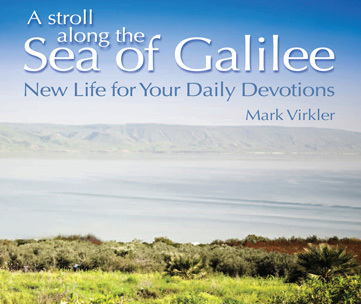 11/08/2012 - A Stroll Along the Sea of Galilee - Pre-Sale Special Offer!